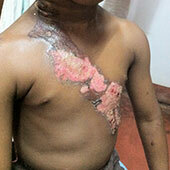 Burn is a skin injury caused by flames, heat, the sun, x-rays, moist heat, laser, electrical energy, chemicals, radiation etc. Based on the way burns occur, medical science, generally categories burns into first degree burns, second degree burns, third degree burns and fourth degree burns. Mainly burns affect the skin and in severe cases of burns, it affects reach the muscles, veins and bones. Treating keloids from a very initial stage onwards is very important to forbid the growth of keloids into a more complicated case. But a complete solution to keloids is still a miracle to modern science. Padanjali traditional keloid scar treatment centre has been offering natural successful keloid scar removal treatments helping thousands of people across the world to completely get rid of keloids. Starting keloid scar treatment at Padanjali Ayurvedics is very easy. The treatment for keloid scarring can start after initial consultation with doctor through phone or internet. A complete healing of keloid scars requires certain precautions before and during the period of medication. The treatment for burns and burn scars is primarily focused to the regeneration of skin cells by generating the flow of blood to the affected area. 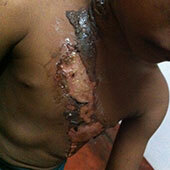 Treatment of burns at Padanjali Ayurvedics normally starts after the initial consultation with the doctor. You can contact our doctor either through telephone or by mail. The duration of burn treatment and application of the medicine will be decided after a thorough analysis of your body features, cause, nature and depth of the burn and burn scar. 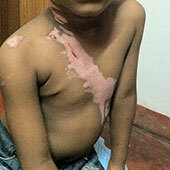 The treatment for burns and burn scars differs from case to case. That is, the treatment of chemical burns, third degree burns, second degree burns, electrical burns and burn scar treatment vary as per the case depending on the intensity of tissue damage and area affected. Comparing to the allopathic burn treatment, Ayurvedic medicines are cheaper, effective and make no side-effects. 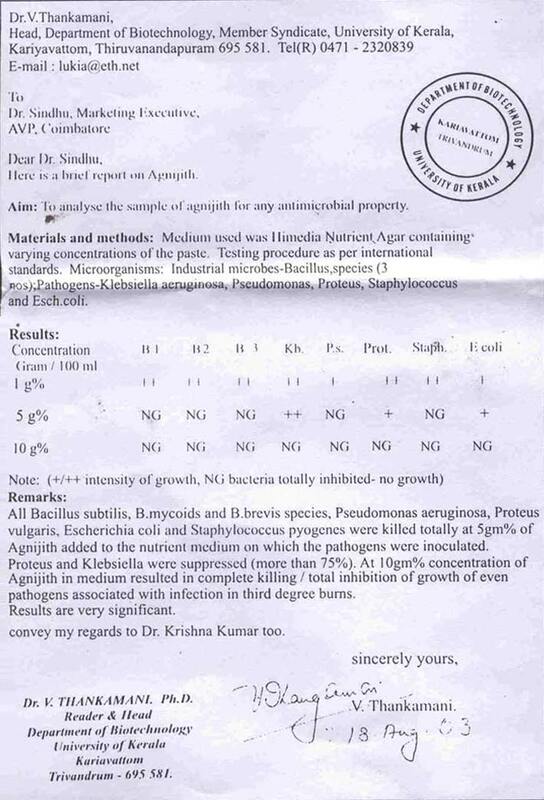 The healing power of Agnijith to provide a complete cure for the burns and its magical ability to refurbish skin into the earlier vitality has won worldwide recognition and reputation both for Padanjali Ayurvedics and burn scar specialist Dr. Parameswaran Nair. For the complete healing of burns and scars, needs some precautions before and during the time of medication. It is required to keep the boil, fresh and open wounds completely away from water for the rapid healing. A burn can be more complicated by infection. The anti-microbial formula is much effective against bacterial attack. The burn helping balm Agnijith is a highly effective alternative medicine for burn injury treatment, scar treatments, burn scar treatment and children burn scars treatment. The medicine works as a natural protection over the affected area rejuvenating the skin for a fast healing. To get a more effective burn and burn scar treatment, you can either contact our doctor through phone or mail us with the complete details of your problem and snapshots of the affected site. Our doctor will provide you a carefully designed treatment schedule.